New marketers often go astray when beginning to practice content marketing. Old techniques are no longer viable, and many are downright poisonous when it comes to your website SEO. If you accidentally use one of these techniques, you could find your website penalized or even excluded from the search engine rankings! There are many best practices to keep track of, but here are eight practices you absolutely must avoid when you’re conducting content marketing. The number one problem companies have with their content creation isn’t quality or topic – it’s quantity. Not creating enough content means you will fall in the rankings, and you will not generate as much traffic. Aim to create one piece of content on every business day. Creating content once a week instead of five times a week will generate just twenty percent of the traffic that higher-volume creation would get you. You need to engage with everyone who interacts with you, especially when you’re getting started. Respond to comments and inquiries promptly to ensure people don’t lose interest and think you don’t take your business seriously. Comments in particular are a great way to engage people on your posts. Be friendly and responsive and people will show you the same courtesy. If you run a website and a blog, don’t keep the two separate. Your blog will generate a lot of traffic that could be going to your website, after all. Either create a subdomain or a folder for the blog so it looks like one of these two URLs: http://blog.yourwebsite.com or http://www.yourwebsite.com/blog. This means people will be able to find you from your content. Many startup marketers focus on the principle of giving away their best stuff. This may seem counter intuitive, but really, high-quality information is what attracts customers and search engines. Don’t make every piece of content a sales pitch for your company or products. If you run a big company, your SEO department and business strategy department might never talk. This is totally backwards. You need to plan your products carefully in consultation with your SEO experts or established SEO Companies so everyone knows what is in demand, what you’re offering, and how you can connect these two groups of products or services. 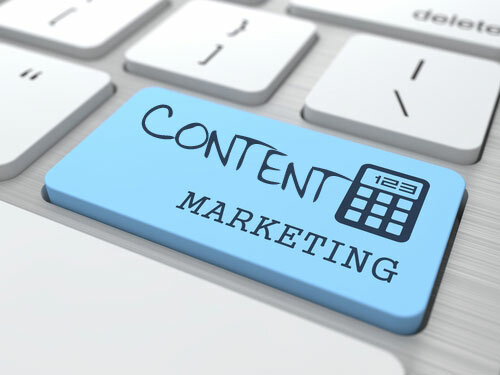 You should have a content marketing plan to promote your content, reach industry influencers, maintain a presence on major networks, and share content via key syndication websites. It’s important to be recognized as a leader in your industry, and a social strategy will help you get there. Being afraid of asking for a specific action is what kill many content marketers’ pieces. The call to action might be to continue reading your blog, subscribe to your updates, buy your services, share with friends, or something else entirely – just make sure every piece of content has a call to action. Even if you satisfy every other requirement, publishing the same content all the time is boring at best. Make sure you consider a variety of different types of content when it comes to publication. Can you release videos, white papers, and webinars as well as your ordinary blog posts? If you want to be known as a successful content marketer, you need to avoid all of these poisonous pitfalls. There are more areas where you can go wrong, but if you start off avoiding all of these practices, you’re in a much better position to dominate the search engine rankings in your niche.